Another Dog Song Saturday here at Talking Dogs and we've got a new tune for you. Okay, One More Day by Diamond Rio is technically a song about a dog, however it really is a perfect song for dog lovers. 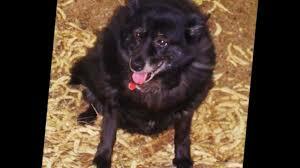 In today's music video selection Becky Loechelt has used it as the theme song for a tribute to her dog, Ruby. One More Day was written by Bobby Tomberlin and Steven Dale Jones; recorded and released by Diamond Rio in 2000. Have a listen to the lyrics and we're sure you'll agree that you, too, would like one more day with your beloved pet. A wish was granted just for me. It could be for anything. I didn't ask for money or a mansion in Malibu. Sit. Stay. Take a break and enjoy One More Day by Diamond Rio. Then fetch more dog song music videos at Talking Dogs. You'll be surprised at how many we've collected over the past few years! Sometimes I wish I had one more day with Norman. I love this song, but it always makes me cry! What we wouldn't all give for one more day with our beloved pets who we miss so much.